The New York Cardiac Diagnostic Center has three convenient NYC locations: Upper East Side, Midtown West, and Wall Street. Our cardiologist offices in NYC are conveniently located near NYC Subway lines, for easy access. We accept most major insurance and routinely accept referrals from health care professionals. 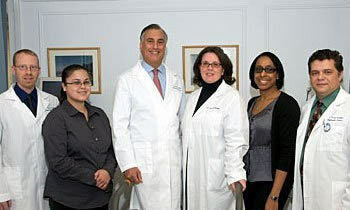 Our top NYC cardiologists pride ourselves with providing you highly personalized and comprehensive cardiac care. Our philosophy of direct cardiologist to patient care at every visit has made us one of the most trusted and respected and best rated cardiac diagnostic practices in Manhattan. If you have any questions for the best in class NYC cardiologist or would like to schedule a consultation or appointment please feel free to contact Dr. Steven Reisman of the New York Cardiac Diagnostic Center and indicate which NYC office (Upper East Side, Midtown West, or Wall Street) you would like to see the cardiologist for a cardiac consultation.